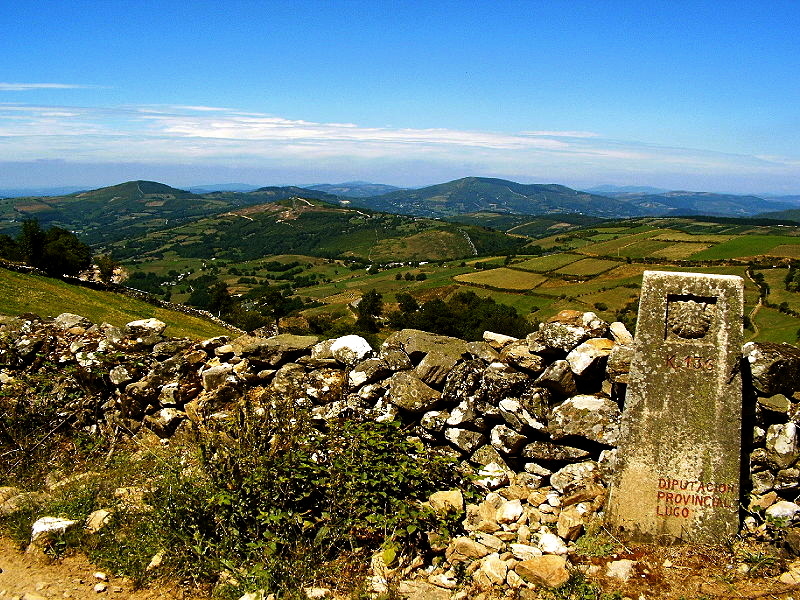 In O Cebreiro the historic and quaint mountain top village that is the famous entry point into Galicia is known for many things that we will share in different blog postings and one of them is the Prayer Of La Faba of the very small village situated just before arriving into O Cebreiro as you make your way on the camino trail up the mountain ridge. 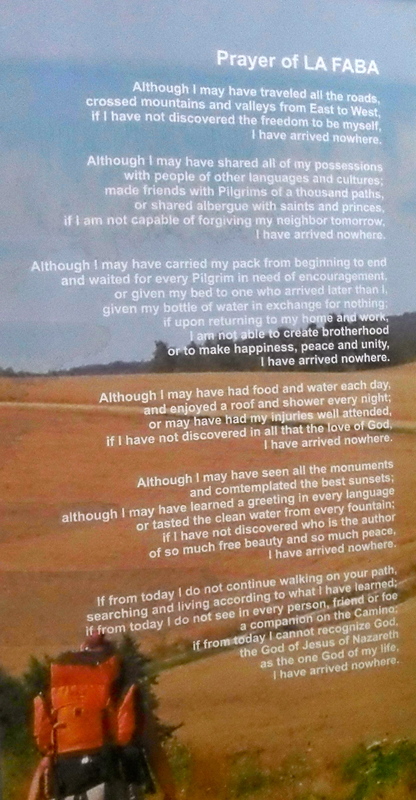 It is the poem and prayer that Lisa Moore mentioned in my Camino & Friendship post yesterday and I would like to share it with you now. I remember how moved I was in first reading it and again each time its sentiment is powerful – I hope you enjoy! This entry was posted in Acts Of Giving & Sharing and tagged nature, outdoors, spirituality. Bookmark the permalink.